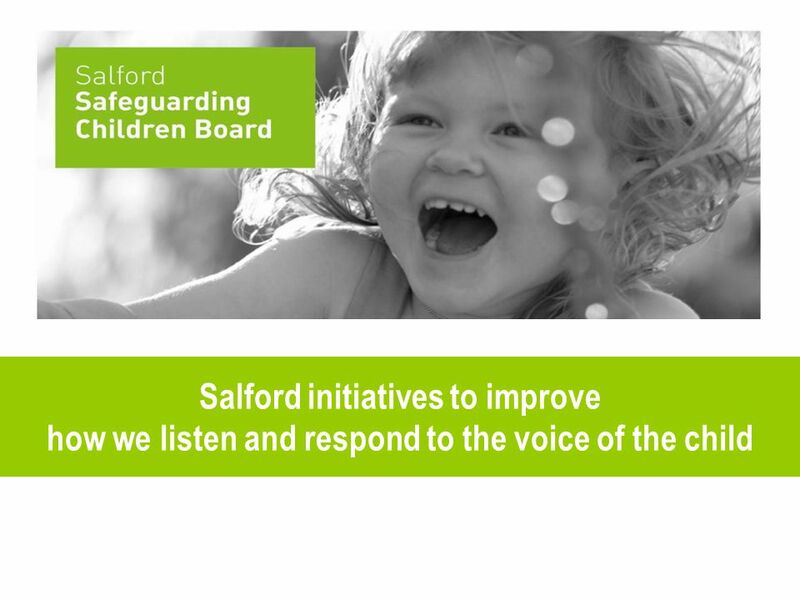 Salford initiatives to improve how we listen and respond to the voice of the child. 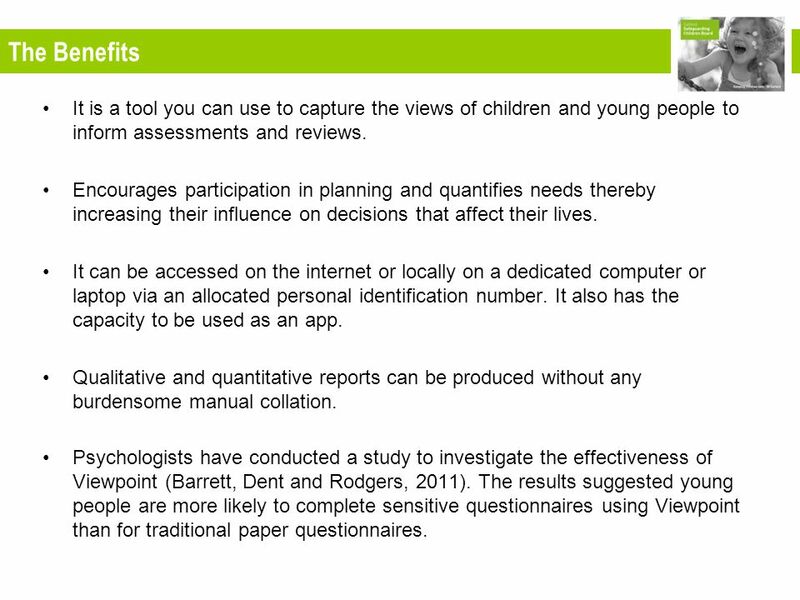 4 Viewpoint Demo Screenshots Versions suitable for children and young people aged 5-18 years Designed to support children with learning disabilities reviews e.g. 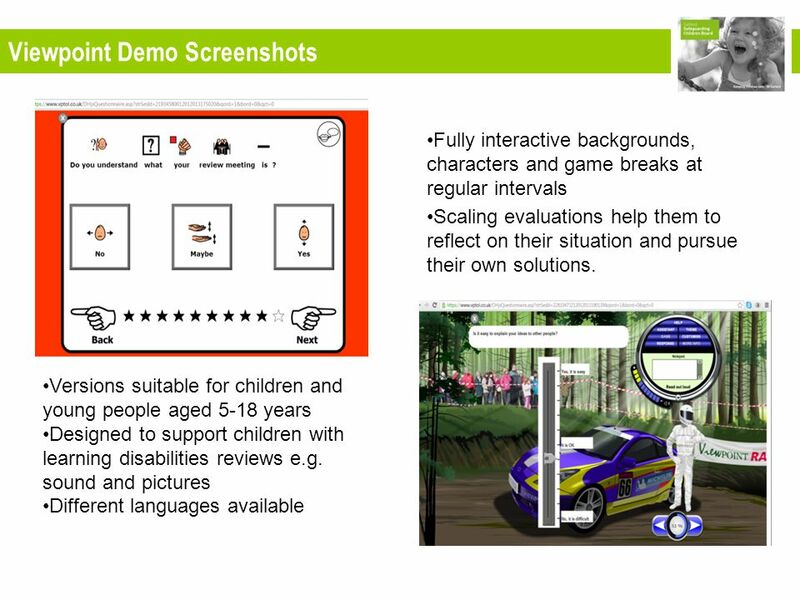 sound and pictures Different languages available Fully interactive backgrounds, characters and game breaks at regular intervals Scaling evaluations help them to reflect on their situation and pursue their own solutions. 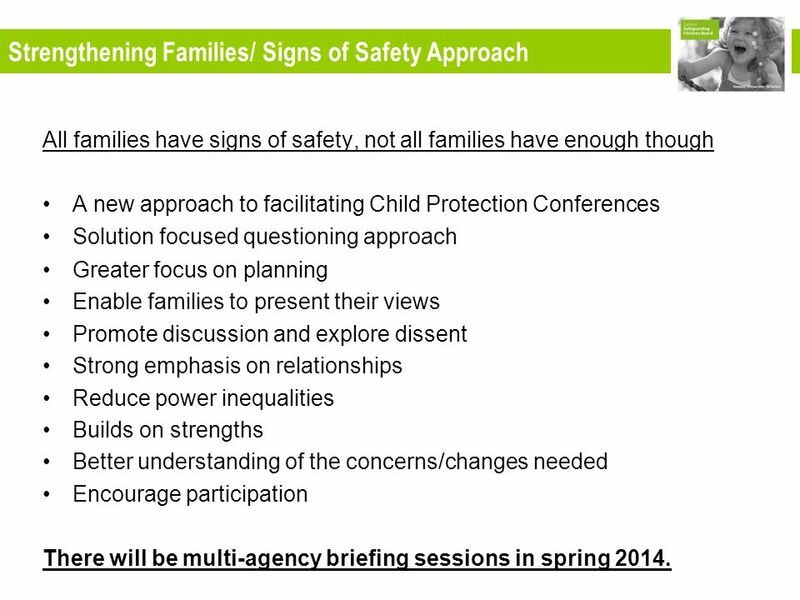 7 What other work are you aware of ? 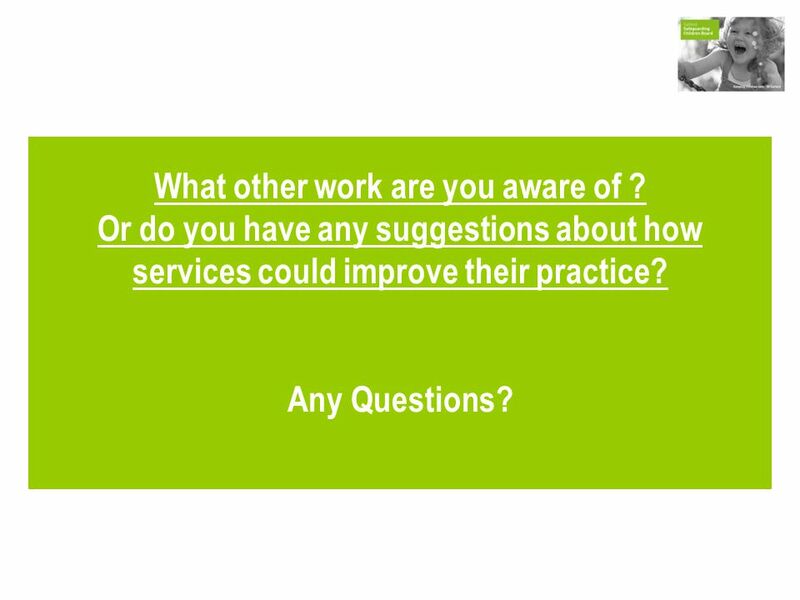 Or do you have any suggestions about how services could improve their practice? Any Questions? 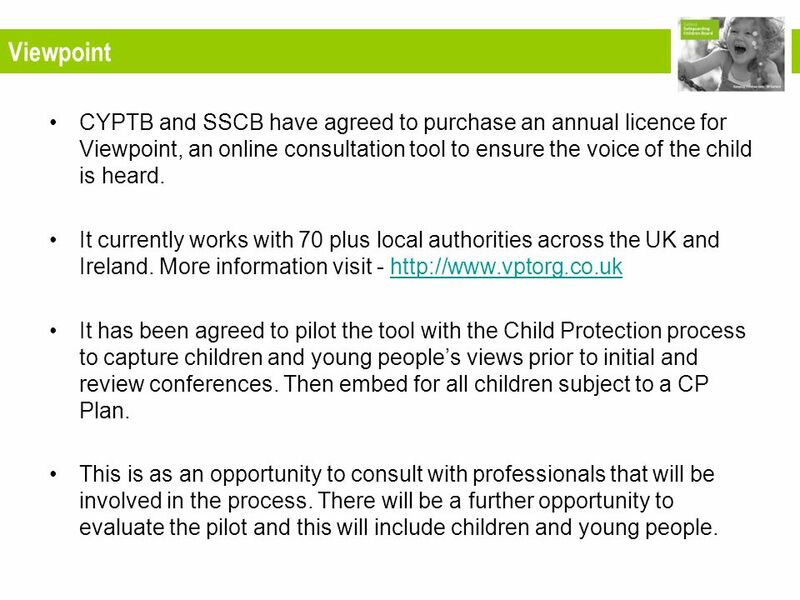 Download ppt "Salford initiatives to improve how we listen and respond to the voice of the child." 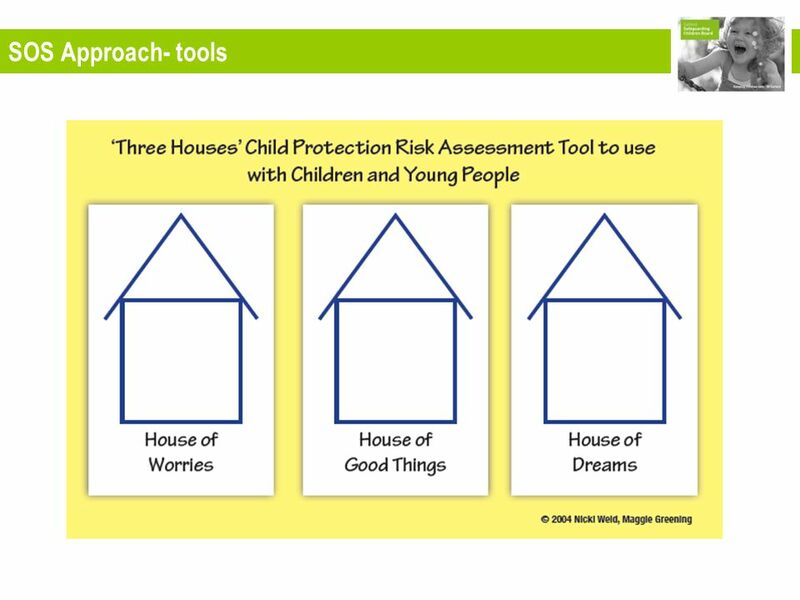 MY LIFE IN SCOTLAND CHILDREN’S VIEWS ON LIFE AND WELLBEING.